LeMond bikes are brought to you by a partnership between the world famous cyclist Greg LeMond and Hoist Fitness, a leader in the exercise equipment industry. The two big names combine to offer a complete line of exercise bikes including recumbents, uprights and indoor cycling models. For those who haven't heard of Greg LeMond, he's basically a cycling legend. He was the first American to win the Tour De France and won it three times; he won the World Bicycle Road Racing title three times; he won the Pernod Trophy, given to the world's best cyclist, and no surprise to anyone, he is a memeber of the Cycling Hall of Fame. So if anyone is qualified to design and manufacture bikes, it's him. He started LeMond Fitness in 2002 with his RevMaster bike, and over the years added new models to the collection. In 2012, Hoist Fitness, a company that mainly manufactured high end strength equipment found in health clubs, purchased LeMond Fitness. The company is now called LeMond, powered by Hoist. There are a number of LeMond bikes to choose from, including two uprights, two recumbents and two RevMaster indoor cycling bikes. We'll start off with those since they are the most popular ones the company sells. 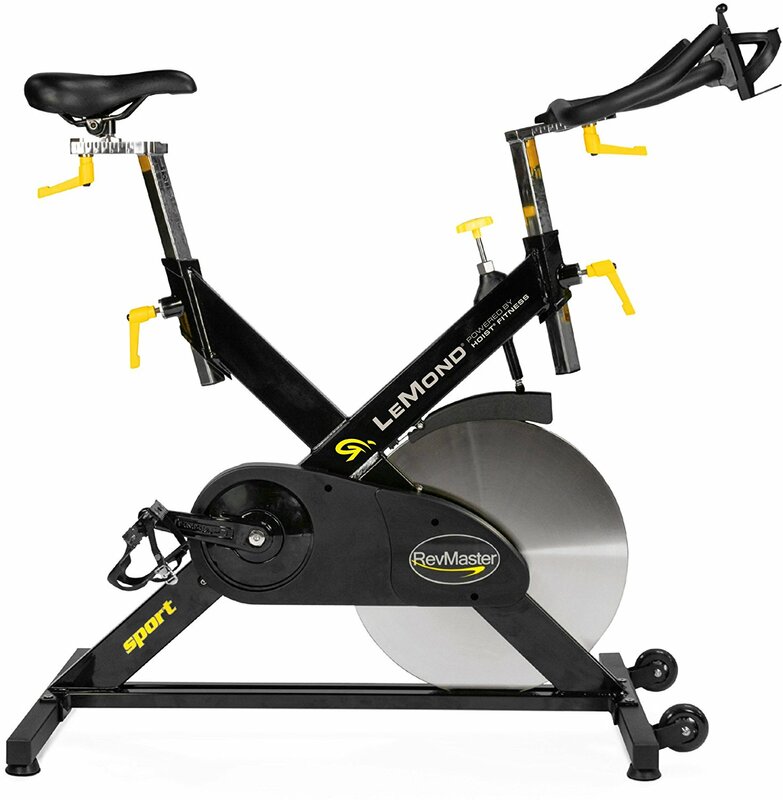 There is a Sport and a Pro model, and the LeMond RevMaster Sport is the one that is for residential use, although it can easily be used in a commercial setting due to its high quality. The Sport features a Kevlar belt which gives you a very smooth and noiseless ride, easy resistance and braking control, custom BMX bracket and cranks and a stable steel frame. Everything from the handlebars to the saddle is adjustable to fit your needs. It's compact in size and low weight, and can be easily transported with the attached wheels. Just like with the RevMaster Series, you have a pro and a residential model. The Hoist LeMond RC is the commercial model, and the LeMond Series RT is the home model. It features a step through design, adjustable mesh back seat, 14 custom workouts with Bluetooth tracking, upgraded pedals and handlebars, advanced console and unique Calorie Pump monitor. It can support users from 4' 10" up to 6' 8", so it can accommodate pretty much everyone. It's compact in size and only about 200 lbs., so it can fit into a home gym environment easily. Similar to the recumbents, you again have the Hoist Lemond UC and the LeMond Series UT. You can adjust the seat any way you like it: fore/aft and up/down. You get all of the features of the recumbent including workouts, Bluetooth tracking and Calorie Pump monitor. It can also support users from 4/ 10" up to 6' 8". It's compact in size and only about 135 lbs., so again it's perfect for the smaller area of the home gym. All of the Greg LeMond bikes are of high quality, and are sold in high end exercise equipment retailers as well as online at Amazon and some other places. The warranty is solid and customer services seems to be better than most. You can check out our LeMond bike reviews of the individual models that we will be adding to the site shortly. LeMond bike reviews have been quite positive over the years, as customers have been pleased with the quality and performance of their products, especially the RevMaster spin bikes. The company definitely benefited from the whole Lance Armstong LiveStrong debacle, and that's a good thing because Greg LeMond has always had a stellar reputation. Since Hoist also has a stellar reputation, it's a solid brand pairing. Check out the LeMond bikes and see if they are right for you.